The story of this unique Saab 95 delivery van restoration starts at a dealership in Stockport, United Kingdom in 1991. This Saab 95 with license plate 280YBH was found in pieces and exposed to the British weather for many years. It is obvious some serious restoration had to be done to bring this 95 van back to life. 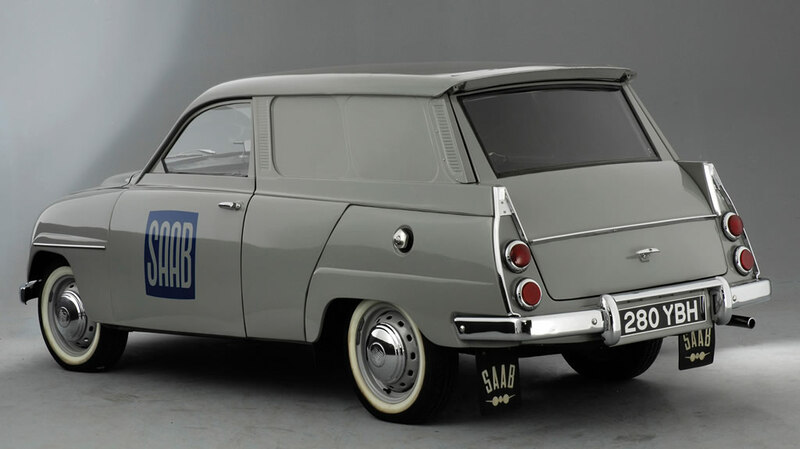 This Saab 95 was imported in 1962 by Saab GB and was only one of three that ever made it to the UK from Sweden. 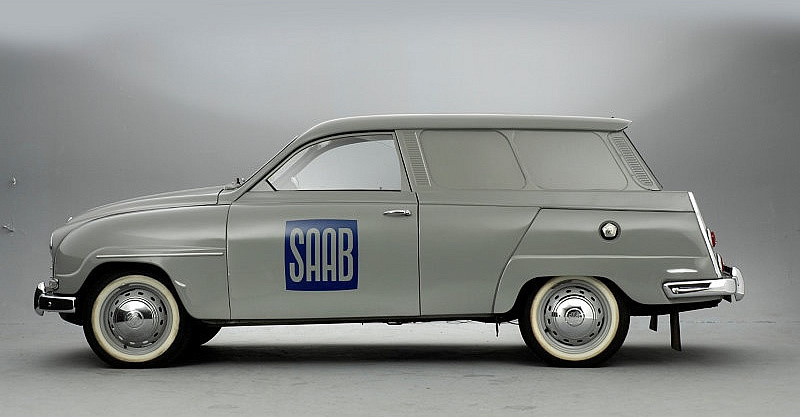 They were used by Saab dealers as service vehicles. 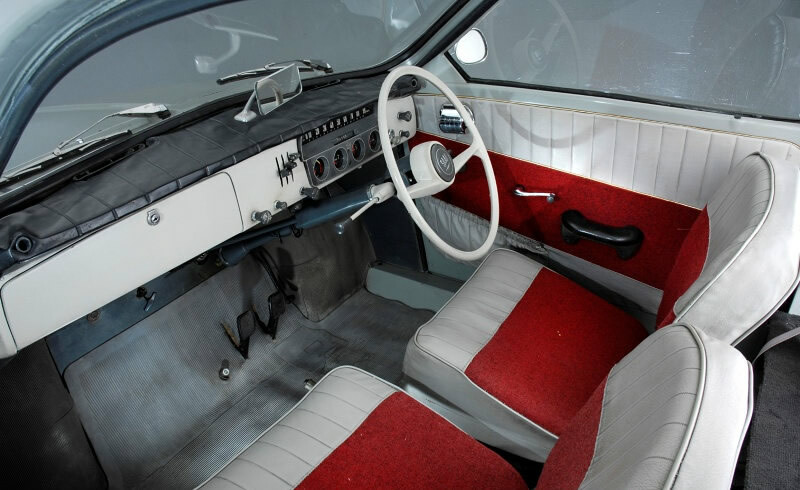 The classic car enthusiast that rescued the car restored it and eventually swapped it for another car. It changed hands a few times through the years and eventually showed up at an auction in 2008. The original color of the van was grey but was repainted yellow in the 1970s. 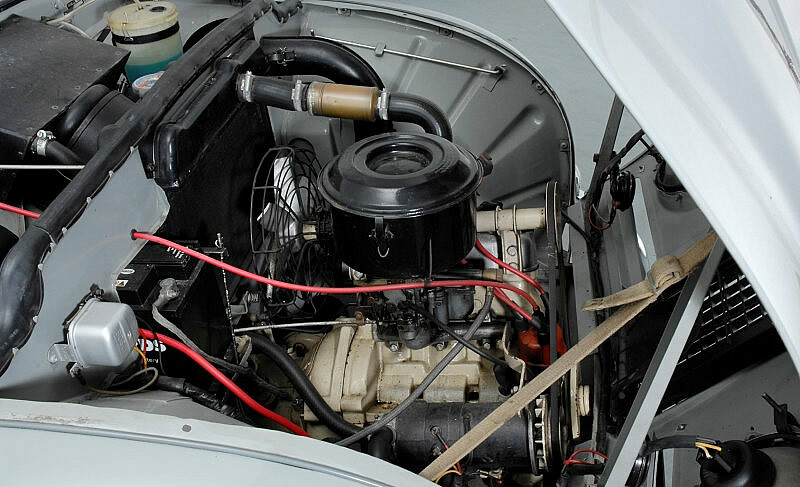 The 841 cc two-stroke inline three-cylinder engine produces 46hp and has a 4-speed manual transmission. Auction details from 2008 shows it was sold for £11,000 and it is unlikely anyone made any money with this car. 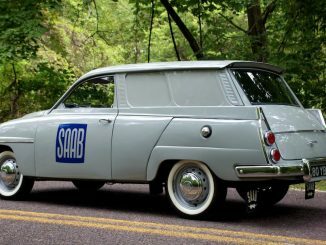 But that’s the unique nature of classic Saabs as they rarely fetch premium prices, even when restored to perfect condition. But that’s also why they are desirable and affordable by true Saab enthusiasts that love these cars for what they are. Wow that’s quite a restoration! Never knew they did a panel van version of the 95. Beautiful! I live, and grew up about a ten min drive away from Stockport. It’s possible I’ve seen this Saab, brumming around when I was a kid in the ’70s(I’d like to think)! Both Stockport, and Manchester get a lot of rain more than anything, I’m amazed it didn’t end up a big pile of rust; so an amazing job all round. 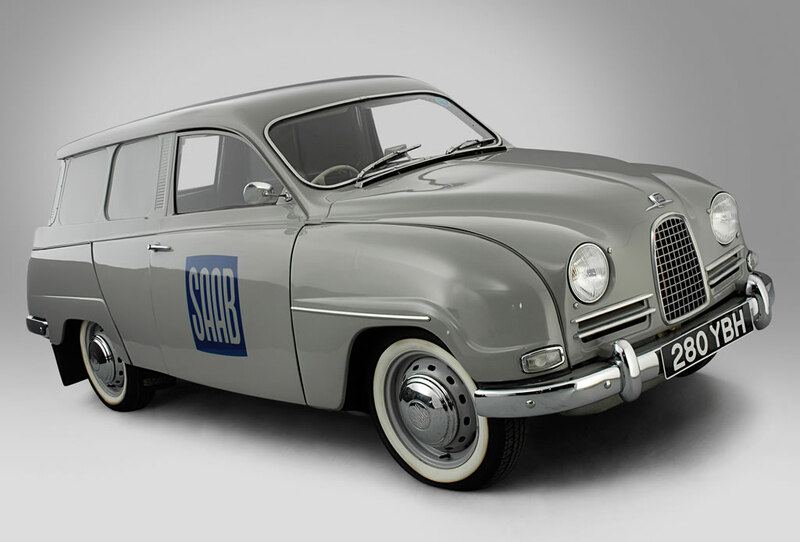 I love commercial classics, drive Scania trucks at work, and of course I love Saab’s too. Had no idea that Saab made vans! Thanks so much for sharing this.